Safe YouTube viewing for kids. Safe YouTube viewing for kids - DuckyTube is a parental designed app aimed at preventing unwanted viewing of inappropriate material. In every big pond there are dangerous fish, so we’ve brought you a small pond where you can add your own fish!!! DuckyTube is a parental designed app aimed at preventing unwanted viewing of inappropriate material. In every big pond there are dangerous fish, so we’ve brought you a small pond where you can add your own fish!!! 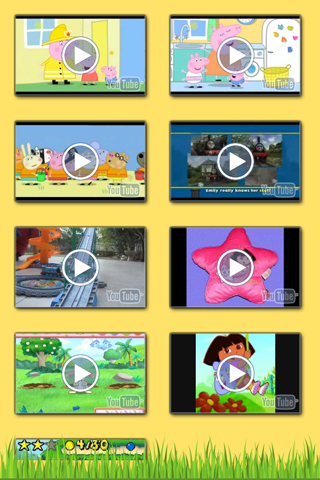 The main screen contains all your child’s favourite videos – whether it be a favourite Dora or Thomas the Tank Engine episode or helping your child read with Jolly Phonics, you can add it all knowing that your child will not access videos that aren’t age appropriate. 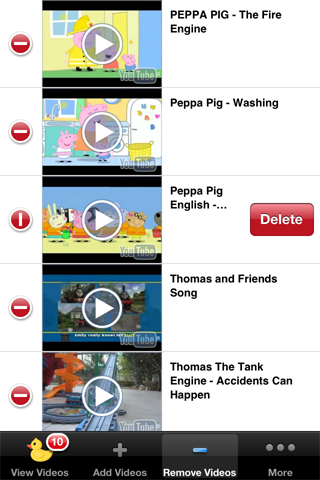 Adding and removing is as simple as Search and Click – these will then appear on the child friendly main screen. There’s no need to leave the app or to enter passwords, it’s all in the app and hidden in the long grass away from your little duckies! Every parent wants to encourage independence in their toddlers, but they also need to know they are safe. DuckyTube allows kids to pick their own videos without having to bother Mom or Dad. To add & remove videos simply lift the long grass and hold. DuckyTube	is powered by Wordpress and AppifyWP.